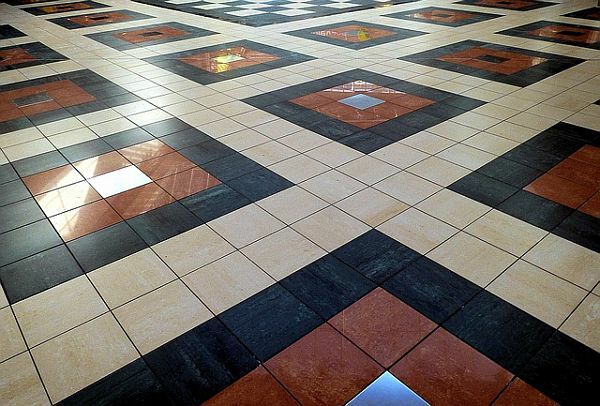 Are you worried about the stains that affect ceramic tiles, making your floor looking gross? We have some tips for you to revamp your tiled surface immaculate and fresh. Most of the tiles have a glossy surface that will resist itself from getting stained. Problems arise with the grout that fills the gap. As the grout is made of porous material, it can absorb dirt quickly. There are more chances for the grout to get stained with time. If you are freshly laying out the tiles, go for a special stain-proof grout. Or else, do not forget to apply clear sealers on the grout to prevent staining. If your grout has not yet grabbed dirt, you can apply sealers. For that, you need to mix a mild bleach solution in a bucket to clean the grout lines. Use old tooth brush to clean the grout lines with bleach solution. After cleaning, rinse off the residue bleach thoroughly with water. Dry it efficiently before applying the clear liquid sealer. You can buy sealers from home improvement stores, along with a built in applicator. Try and select the appropriate applicator roller size that suits your grout lines. Apply the sealer smooth and neat and allow it to dry. If your grout lines are already stained, you can choose for the grout stain pen for a uniform coloring of stained lines. The grout stain pen has a sealer mixed with a variety of colors that can give a uniform shade to the grout lines.